Keep track of your answers by writing down the letters on a piece of paper! 1. Let's start with an introduction, so we can get to know each other. Which of these statements would you say best describes your personality? a. I'm cute and cuddly, and I just want to be loved. b. I hate everyone. I'm deeply evil. c. I'm pretty laid-back, but I have a schedule that I stick to. d. I'm a risk-taker, a real fire-starter! You'd better watch out! e. I'm cool as a cucumber, but I hate cucumber. I'm also very clean. 2. A good way to learn about someone is to find out about their hobbies - so, which of these would you most prefer as a hobby? a. Playing outdoors in the fresh air, with my Neopet. c. Camping - as long as I can chop my own wood. d. Trying exotic new foods. e. Going for a nice, refreshing swim. 3. Travelling is important when you need some time away from work. What's your favourite land in Neopia to visit? 4. Our true personality shines through when we're in a stressful situation with someone we don't really get along with. Who would you most hate to be stuck on a desert island with? a. Vira - she's so scary! Aah! b. Illusen - the goodie two-shoes is insufferable. c. I'll get along with anyone if I have to. d. A Polarchuck - they make everything cold. e. Meuka - ewww, gross! Someone get me some hand sanitiser! 5. The things you don't like can say as much about you as the things you do like. What's your least favourite beverage? c. Everything - I only drink pure, filtered water. 6. Our clothes are an expression of our inner selves. If you could pick one of these outfits, which would you wear? a. A white dress, feathery wings and a halo. b. Anything black. Like my soul. c. A plaid shirt and sturdy walking boots. 7. There's a time of day when we hide ourselves away from the world, forget the trials of the day we've had, and let our minds wander as we drift off to sleep. They say that dreams are a window to the soul - but what we do just before sleeping is also important. What's your bedtime routine? a. I kiss my pets goodnight and snuggle up in a cosy pile of pillows and blankets. b. I feed some poisonous mushrooms to the local wildlife, to make sure I have sweet dreams. c. I lie outside on the ground and listen to the sounds of nature. d. I take a very, very hot bath. e. I brush my teeth for 15 continuous minutes. 8. We all want a pet that we can love, but sometimes we prefer some pets a little more than others. 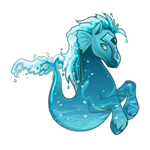 What's your favourite painted Neopet out of the options below? e. Any colour except garlic or onion! 9. Let's talk about Neoschool. Some of us love it, some of us would rather be anywhere else - and some of us spent so long daydreaming about being elsewhere that we forgot to pay attention and are still repeating last year! Either way, you probably had a favourite subject when you were at school - what was it? c. Sport. More specifically, caber tossing. 10. When every Neopian leaves school, the time comes for them to make their own way in the world and earn a living. You may not be in your dream job right now, but it's probably an important facet of your personality. Which of these jobs would you most want to choose? You're a sweetheart; a real angel. You try your best to help those in need; you're kind to animals; you're always polite no matter how anyone else treats you. You're very likeable, and you surround yourself with like-minded friends. However, this can make you very naive - you hide away from the bad things in the world and pretend they don't exist. You probably couldn't defend yourself in a fight, and you survive on blind faith that you won't encounter any problems in life. You have two emotions: happy and sad. Anger doesn't really feature on that list, because you think forgiveness is the most important part of any friendship (and you're determined to be friends with everyone). This makes it hard for you to stand up for yourself, and sometimes you'll even take the fall for something you didn't do. However, despite any pitfalls, your chipper attitude means that life can never grind you down - and your determination to stay happy is your greatest gift. You're mean-spirited, sarcastic, and your best friend is probably Jhudora. In fact, she would certainly be your only friend, because you hate spending time with anyone who doesn't share your cynicism. You insist that you're 'just misunderstood' and 'this isn't a phase, mom'. Everyone is wrong when they say you'll regret dying your hair purple, filing your fingernails into sharp points, or walking around in dark hooded cloaks later in life when prospective employers look at your social media. The world is evil, and so are you. You're very balanced, but not very passionate about most things. You like to get in touch with nature - staying in log cabins, fishing, chopping down trees... you know, the lumberjack lifestyle. Despite all that, you're not as adventurous as you like to think, and you lead a solitary life. You have a few trusty friends, but you find it hard to make new ones. Oh, and your entire wardrobe is filled with blue jeans and plaid shirts. You're hot-headed and you've got a pretty fiery temper. People don't want to get on your bad side, because you really hold a grudge. Like, seriously, forever, even after three glasses of water. You've got an exotic palate, with an unusual fondness for really spicy food (naturally). Another notable trait is that you're a thrill-seeker - roller coasters, dangerous expeditions - you name it; no risk is too big to satisfy your thirst for danger! You're... you're a roll of toothpaste, aren't you? Well, on the off-chance that you're not, your cheese synergy lies with Peppermint Cheese. You're a real oddball combination, and most people are pretty apprehensive to give you a chance. However, you have a really refreshing point of view, and unlike some cheeses, you're guaranteed not to leave a nasty taste in anyone's mouth. You keep up-to-date with new trends - you wouldn't be seen dead in last season's fashions, because you're always fresh and funky. Hygiene is very important to you, and you keep your house impeccably clean and tidy. Fashion is hard when your body doesn't fit the standard. Alright, if this is some sort of prank, it's not a very funny one. You've always been stupidly cryptic, but this is taking things just a bit too far. You can't even write your own signature correctly anymore? Talk about poor table manners!